Businesses were asked to shut down, and individuals urged to turn down the thermostat, after a fire at a natural gas plant threatened energy supplies during the polar vortex. Today on Stateside, bitter cold during this week’s polar vortex, combined with a fire at a Consumers Energy natural gas plant, led to an energy crisis. What does that tell us about the state of our energy infrastructure? Plus, remembering the Saginaw-born woman who revolutionized workplace design and helped usher in the era of the open office. This week, Michigan plunged into record-cold temperatures, increasing the demand for energy to heat houses and businesses. So, when Consumers Energy had a fire at one of its facilities, the state had a natural gas supply crisis on its hands. Businesses were asked to shut down, and utilities urged customers to keep their thermostats at 65 degrees or lower to avoid shutoffs. We hear from Governor Gretchen Whitmer about the state’s response, and why she’s calling for a review of the state’s energy infrastructure in the wake of the polar vortex. We also hear from Johanna Mathieu, Assistant Professor in the College of Engineering at the University of Michigan. 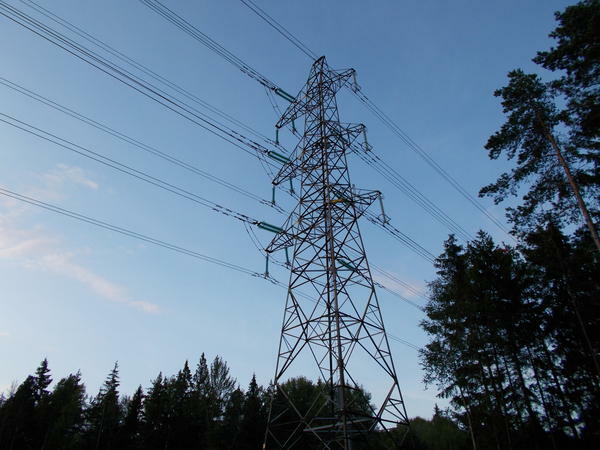 Mathieu tells us about what we learned about the state’s energy infrastructure this week, and what Michigan could do to avert a similar situation in the future. A leading designer and architect from Michigan died one week ago today. Florence Knoll was known for changing the look and feel of the modern office. She was one of the pioneers behind the now ubiquitous open-office concept. We talk to Andrew Blauvelt, director of the Cranbrook Art Museum, about Knoll Basset’s influence in the mid-century modern aesthetic, her time at Cranbrook, and her legacy in the world of architecture and design. Sometimes your plans get disrupted. Sometimes you take a leap of faith. That’s the story of David Sutherland, an artisan who has been making harpsichords and pianos in his workshop for decades. Stateside host Lester Graham visited Sutherland’s workshop to learn about his lifelong passion for instrument-building, and the detours he took before making it his full-time career. Many in higher education are criticizing Education Secretary Betsy Devos' newly-proposed changes to the federal sexual harassment rules known as Title IX. Stateside talks to Terry Hartle, Senior Vice President of Government and Public Affairs at The American Council on Education, the major higher ed lobbying voice for higher ed in Washington. Hartle explains why higher ed isn’t happy with the proposed changes, and the recommendations his organization is suggesting instead. Political roundup: In light of failed bids to woo Foxconn and Amazon, how should MI invest in economic development? An audit of the Michigan Strategic Fund, sometimes called Michigan’s corporate welfare program, was critical about how well it did in keeping track of whether it got a return on investments, whether grants to companies actually resulted in the jobs promised, and so on. We discuss those findings with our Friday political commentators Vicki Barnett, former Mayor of Farmington Hills and a former Democratic state legislator, and Ken Sikkema, Senior Policy Fellow at Public Sector Consultants and a former Republican legislative leader.